For many years people didn’t know what cholesterol was and didn’t care enough to listen to those who were kind enough to talk to them about it. That was until the link between cholesterol and heart disease became glaringly apparent. To reduce the health risks of imbibing in foods that lead to high cholesterol, many individuals now opt for healthier diets. One of the leading causes of high cholesterol is fried foods. But high cholesterol isn’t the only danger that comes from eating tasty fried foods. There’s also the danger of obesity and cardiovascular disease. The cardiovascular disease is brought on by the heart labouring more than necessary to support a massive body weight. Also, the fats from fried foods can clog up arteries and lead to improper blood flow to an already labouring heart. Asides from the heart, the liver is also put at risk from wanton consumption of fried foods. So if the fleeting delicious taste of fried foods isn’t worth it, then what is the best way to prepare your meals? I can tell you it’s not boiling because although it’s healthier than frying foods, you still lose more than you gain with boiling. Boiled foods have cooked in water over a long period and this means that either the nutrients in the food have passed on into the water which will be drained away or the long boiling process has effectively destroyed the nutritional value of the food. This is especially true when boiling vegetables. Mandarin Chefs often steam items such as vegetable dim sum parcels this is what they told us. 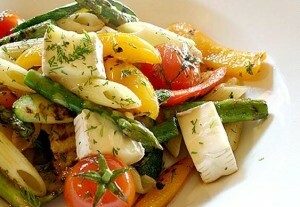 “One of the best ways to get high quality taste and nutritional value from food, especially vegetables, is to steam it. Steaming involves heating and cooking food without actually dipping it into any liquid. This ensures that the food gets cooked without being tainted by the fatty properties of oil or being scoured of healthy nutrients by boiling” – Head Chef at Chili House in San Francisco, who do great Dim Sum delivery. Below are some other specific benefits you stand to gain from steaming your food instead of boiling or frying. 1. It preserves the food’s colour. Frying completely changes a food’s colour. Boiling on the other hand, subtly changes food colour by bleaching it of its vibrancy. Have you ever noticed how carrots look less colourful after they’ve been boiled? But with steaming, foods maintain all their colour and can look picture perfect once served and ready to eat. This means that not only are steamed foods healthier to eat, they are also prettier. 2. Lowers the cholesterol content of food. Unlike boiling and frying which let foods such as meat stew in their own fat, steaming cooks food while at the same time draining it of fat which can be discarded. Getting rid of meat’s fat lowers its calories and also its cholesterol without ruining its flavour. 3. It keeps the food’s nutritional value intact. Most of the vitamins of vegetables are either washed away while boiling or destroyed while frying. But steaming ensures none of the essential vitamins and minerals from food are lost while being cooked. Not only does steaming keep these essential vitamins locked in the food, it also ensures that their structure is unchanged. In addition, not only is steaming healthy, it also gives you a cleaner kitchen with less of a mess to clean up. No smoke, no boiling over pots, no grease stains, and no mess. So which would you prefer? The delicious life shortening goodness of frying or the longevity inducing freshness of steaming?